pretence - this is theatre. Their numbers were legionary. Some say there were 30,000 courtesans at the Court of Philip IV of Spain. Reigning from 1621 until 1665, the monarch had to leave governing to his regent, Count Olivares. No wonder, for in addition to women, Philip IV was an aficionado of hunting, the arts and literature. He was particularly fond of the theatre. Because the country was in decline, the king, like his countrymen, withdrew into a world of illusions. However, Philip IV did not content himself with occupying the Royal box; he wrote plays himself, most of them comedies. When he was not busy playing the King of Spain on the world stage, he could be admired displaying his talents as an actor in amateur performances put on at Court. Philip IV lived in and for the theatre. The responsibility for designing this world of illusion devolved increasingly upon the painter Diego Velazquez. After being called to the Spanish Court in 1623, Velazquez had a meteoric career as a Court official. The last office he held was that of Lord High Usher of the Chamber, the highest rank he might attain in the king's retinue. 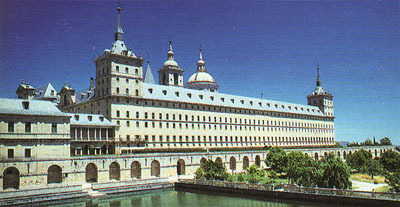 Under Velazquez's tenure, the royal palaces were restored, enlarged and refurnished. For each of the numerous Court revels and festivities, among them the marriage of the Infanta Marie-Therese of Spam to Louis XIV of France, Velazquez threw himself into the task of designing all the decorations and curtains, stage sets and backdrops. It was not long before he was, to put it in modern terms, not only the Head Designer at Court but also its top-ranking Installation Artist. Philip IV was very fond of the man who created his dream world. He used to visit the artist in his workshop, which was in the palace. The king also provided him with lodgings near the royal apartments. Now an intimate friend of the king, Velazquez had no compunction about disturbing his royal master at any time. The painter became familiar with everything that was going on at Court and in the royal family. How close the painter's friendship with the king really was is perhaps shown most clearly in Las Meninas. The scene is like a photographer's snapshot, casually anecdotal about what was happening on the fringes of real life. 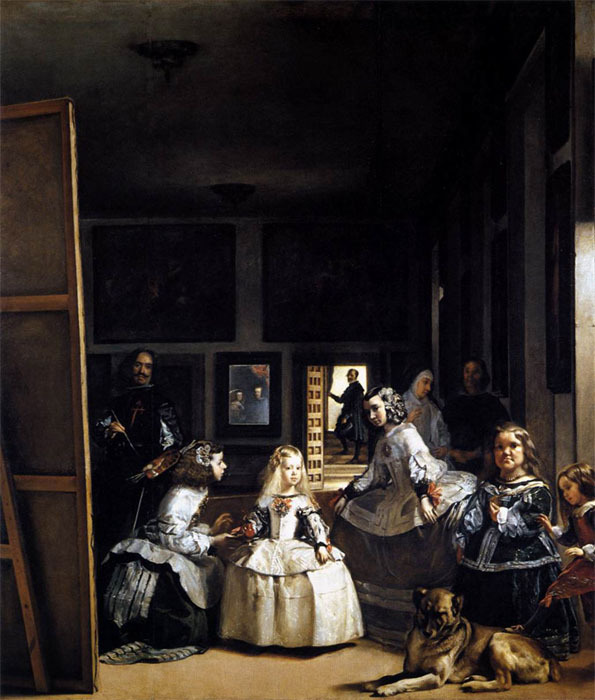 The little Infanta Margarita appears in Velazquez's studio, while the artist is painting a double portrait of her parents, which is reflected in a mirror on the rear wall. Responsible not only for construction work and staging festivities, he was also charged with ensuring that royal outings went smoothly. He saw to the linen, the firewood, the servants, the carpeting and guests' comfort and welfare, kitchen domestics and everything having to do with art. Overburdened by his many duties, Velazquez collapsed and died on 6 August 1660. He was buried in the dress and insignia of a Knight of Santiago. After his Favourite's death, King Philip IV is said to have personally taken up a brush and altered the artist's portrait. After all, when this picture was painted, the artist had not yet become a Knight of the Order.